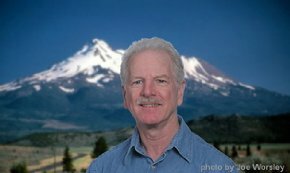 Joel Parker has written 82 articles so far, you can find them below. Ketones (start time 6:40) A growing body of scientific research demonstrates health benefits for many people with a diet that’s lower in carbohydrates, and higher in fats. In fact, some of this research indicates great therapeutic benefits,. One reason why may be that, when carbohydrate consumption is low enough, the body enters a state of “nutritional ketosis,” where it transforms fats into a molecule called, beta-hydroxy-butyrate, or “ketones”. In the absence of sugar and carbs, the body can use ketones as its primary fuel. One of the scientists who has pioneered research into nutritional ketosis is Dr. Steve Phinney, and one of the populations who he believes gets special benefits from a ketone-producing diet is endurance athletes. For 30 years, Phinney has studied nutritional ketosis and athletic performance — including performance among bicycle racers, the winners of 100-mile ultra-marathons, and recently, a two-person rowing team that was among the top finishers in a rowing race that went from California to the Hawaiian Islands – rowing the whole way on a very low-carb, high fat, ketone-producing diet. Climate Scientists (starts at 1:00): Climate scientists (scientists in general) tend to steer clear of speaking out as activists about concerns that are politically volatile. But that’s changing. Many climate scientists are stepping out of their research comfort zone to offer personal stories of why they care and what we all can do about the crisis. A group of scientists launched a video campaign last week. It’s called More Than Scientists. We speak with Dr. Josh Lawler (University of Washington), who one of the founders of the campaign. Polar Bears (starts at 6:30): It is well known that, right now, life for polar bears looks bleak. Warming temperatures mean the season for sea ice cover in the Arctic has become shorter and shorter. As sea ice provides a home and hunting ground for polar bears, both the number of bears and their health has suffered. There is even talk of them becoming extinct. But is this something that we should worry about in Colorado and other non-arctic regions around the world? We don’t have bears, right now we don’t have ice, and we have plenty of other concerns. 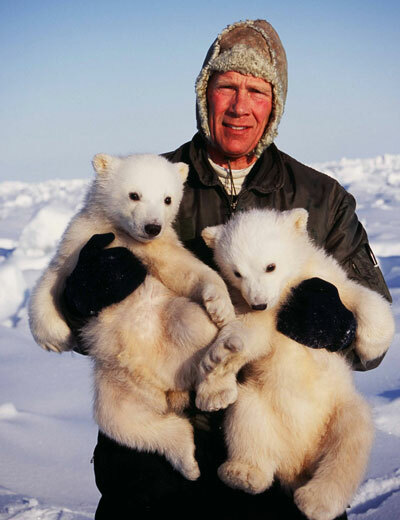 Dr. Steven Amstrup, the Chief scientist for Polar Bears International, joins us on How on Earth to explain why we should care. He thinks that polar bears are the sentinels of global health and that they provide advance warning of some of the challenges coming to all species. That includes us humans. But he thinks if we act soon, we can save both the bears and ourselves. 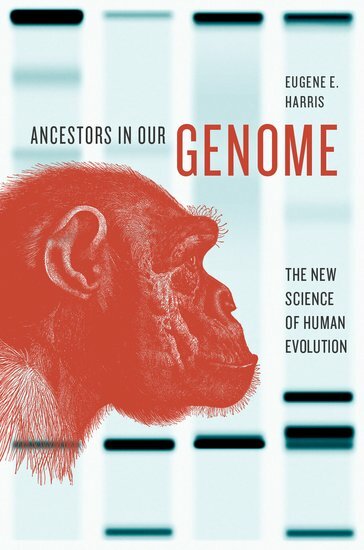 We speak with Eugene Harris, Professor in the Department of Biological Sciences and Geology at Queensborough Community College – part of the City University of New York – about his new book, Ancestors in Our Genome. In this feature, we discussed the methods used by molecular anthropologists to determine human evolution from our primate ancestors and several fascinating examples of the application of these techniques, including a discussion of the rise of lactose digestion in northern Europeans. Himalayan Glacial Lakes (starts at 5:20) Some scientists conduct their experiments in a laboratory — think clean white walls, artificial lighting, A.C. and a convenient coffee pot not far away. Not so for Ulyana Horodyskyj, a graduate student at the University of Colorado. For the last few years she’s been looking at glaciers and the lakes on top of them in Nepal. Last year she spent a year looking at how pollution affects glaciers high in the Himalayan Mountains. She hoped to set up the ultimate high-altitude laboratory on the oxygen-thin slopes of Mount Everest, but a fatal accident intervened. 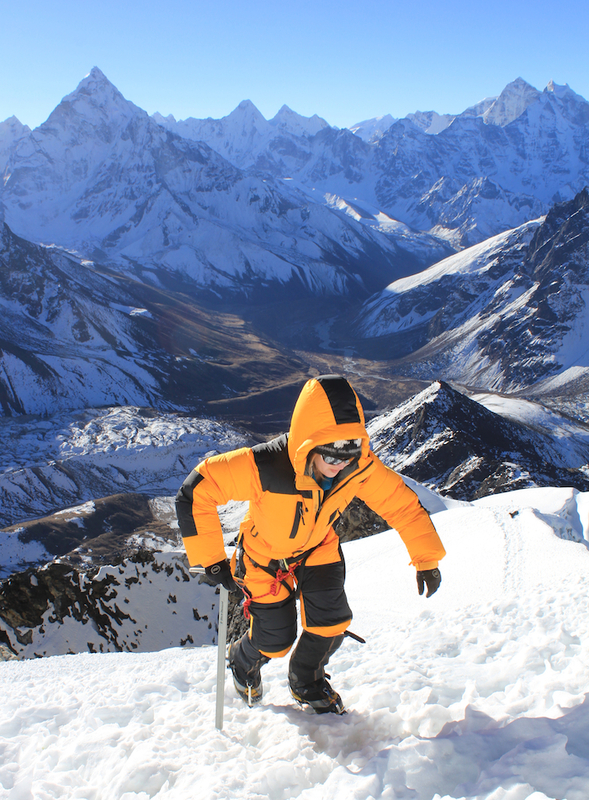 On this edition of How on Earth, she talks about her latest research, Himalayan glaciers and what it is like to do science at the top of the world. Gulp [starts at 4:25] Bestselling author, Mary Roach has been billed as American’s funniest science writer. In “Gulp: Adventures on the Alimentary Canal” she takes readers on a journey through the alimentary canal, extolling the marvels of spit on the beginning end, then moving on to the man who had a hole in his stomach that allowed a doctor to observe his digestion. And . . . on. Roach even interviews a prison inmate about “rectal smuggling” (including cell phones). 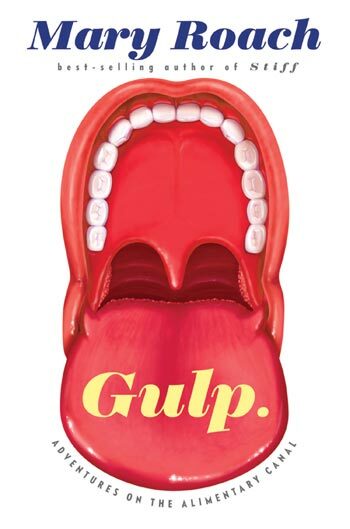 So get ready – here’s Shelley Schlender’s conversation with Mary Roach, author of “Gulp”. Do Fathers Matter? (start times: 9:55 and 20:58) Today’s How on Earth show is part of the KGNU fall membership pledge drive. During this show we preview an upcoming feature of the book: “Do Fathers Matter? 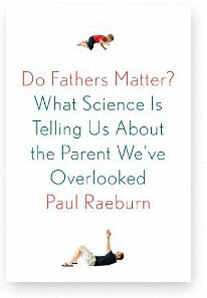 What Science Is Telling Us About the Parent We’ve Overlooked” by science journalist Paul Raeburn. It may seem obvious that fathers matter. And of course, they do. But just how they are affected by parenthood, and how they in turn affect their kids, is not so obvious, as Raeburn shows. He looks at the latest research in anthropology, animal behavior, neuroscience and genetics to uncover many surprises. Marine Sanctuaries (starts at 5:18) This is the third feature interview In the Ocean Is Us series, which explores how we in land-locked Colorado are connected to the oceans, why they matter so much to us all, and what’s at stake. Today we discuss marine sanctuaries: the conservation science behind establishing them, and their ecological and economic benefits. In June, President Obama announced his intention to make a vast area of the central Pacific Ocean off-limits to fishing, energy exploration and other activities. If the plans go through, they could create the marine sanctuary. It would double the swath of ocean that is fully protected globally. Our guests today are devoted to marine conservation. Billy Causey works in the The Office of National Marine Sanctuaries at NOAA – the National Oceanic and Atmospheric Administration. He is Regional Director of the Southeast Atlantic, Gulf of Mexico and Caribbean Region. Vicki Nichols Goldstein is founder of the Colorado Ocean Coalition, a nonprofit based in Boulder dedicated to connecting people living inland to ocean conservation efforts. Formerly she directed the marine advocacy organization Save Our Shores. For more info on how you can get involved in nominating new sites for marine sanctuaries, visit the National Marine Sanctuary Foundation. All features in The Ocean Is Us series can be found here. Migraines (starts at 14:28) One of the most painful conditions to suffer through is a migraine headache. Sometimes, these headaches begin with strange visual auras or loss of vision; sometimes they’re accompanied by nausea. Most of all, they’re a head-splitting pain. Interestingly, these headaches are rare among the world’s few remaining hunter-gatherer populations. In contrast, they’re common in modern western life. Roughly 10% of Americans have suffered from a migraine headache. One of the people who used to suffer from them frequently is a medical doctor with advanced degrees in neurology. He’s Doctor Josh Turknett. Dr. Turknett used to get 60 migraines a year – on average, that’s over one a week. 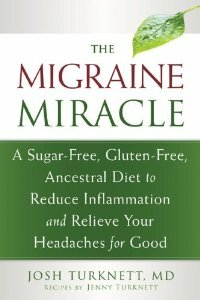 As a board certified neurologist, Turknett treated the migraines of his clients, and his own migraines, in typical medical ways – urging people to drink enough water, get enough sleep, avoid too much stress, try to figure out triggers, such as maybe foods or smells, and to take strong medications when the headaches got unbearable. For Turknett, his whole life changed dramatically when he made a basic lifestyle change that he believes many neurologists and migraine sufferers overlook. In his own case, his change meant that the number of migraines he suffers these days has gone from around 60 headaches a year, down to only two or three. While his approach is controversial, Turknett believes it could help many, perhaps most, migraine sufferers. How on Earth’s Shelley Schlender caught up with Turknett this weekend at the Ancestral Health Symposium in Berkeley, California, where Turknett was a speaker. Up next, here’s Neurologist and former big time migraine sufferer, Josh Turknett. Summer is a time to celebrate our bursting gardens. But you may be wondering why your neighbor’s garden seems to be attracting all the butterflies, honeybees and hummingbirds, while yours seems to be attracting mostly aphids and raccoons. 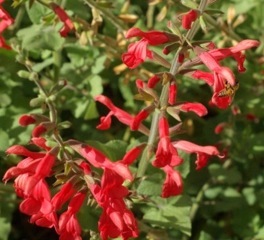 Our guest, Alison Peck, owner of Matrix Gardens in Boulder, talks with How On Earth host Susan Moran about how we make our gardens beautiful, biologically diverse, homes for native wildlife. She’s a landscape designer specializing in xeriscape, native plant and other earth-friendly landscapes. * Xeres Society’s pollinator resource guide. * Xeres Society’s book, Attracting Native Pollinators. * Bio-Integral Resource Center, Berkeley, Calif.
* National Wildlife Federation’s “Garden for Wildlife” Program. Massive stars (start time 6:45) Dr. Emily Levesque is an astronomer who studies big stars, distant stars, exploding stars, and truly weird stars called Thorne–Żytkow objects. All of these topics relate to massive stars – stars that are more than eight time more massive than our Sun. Dr. Levesque is a postdoctoral Hubble fellowship and Einstein fellowship researcher at the University of Colorado at Boulder. 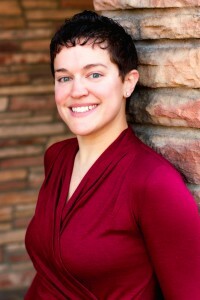 She received a physics degree from MIT, and a PhD in astronomy from the University of Hawaii, which resulted in the Astronomical Society of the Pacific awarding her the Robert J. Trumpler award for outstanding PhD thesis, and this year she was awarded the Annie Jump Cannon award by the American Astronomical Society for her work studying gamma-ray bursts. Dr. Levesque, is here in the studio with us today to talk about her favorite weird astrophysical phenomena and the life of an observational astronomer.